The day started early. A two hour train ride to Munich where I sat around the airport for another 2+ hours waiting for my flight to Florence, which took an hour and a half. From the airport there is a bus that shuttled me into the center of town for a couple of Euro, and then a five minute walk to the hotel. It seems like a lot of time, but a train ride from Salzburg to Florence would have taken over eight hours. I saved myself about 3 hours doing it this way. Although it cost about twice as much. The weather was hot and muggy when I arrived. By the time I reached the hotel I was dripping in sweat. Temperatures were in the low 80’s but it felt much warmer. I was staying in a modern boutique style hotel with only 16 rooms. The elevator was big enough to fit me and my suitcase, and not much else. The same could be said of my room. The room was a single, so I expected it to be small like the others I’d had in places like Munich. The bathroom was tiny. 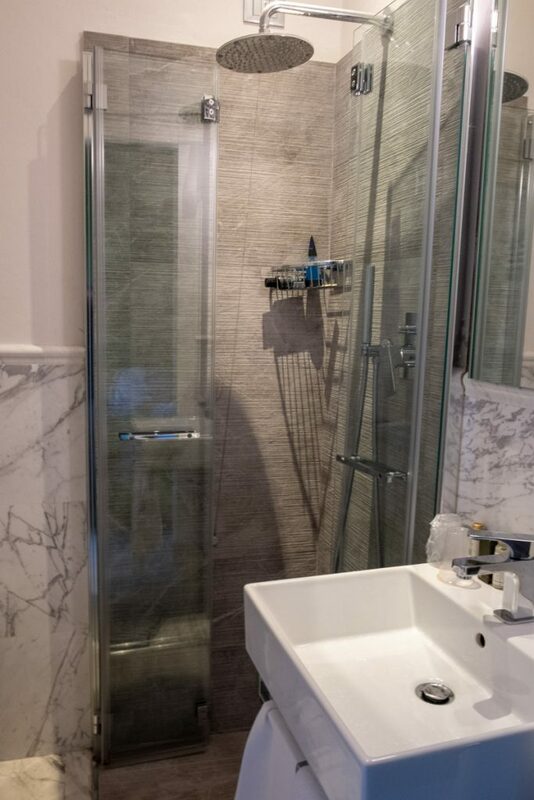 So small, that the shower was in the corner and had folding doors to save room when not in use. It was like showering in a phone booth. But it was clean and in a convenient location. The hotel staff were super friendly and helpful. 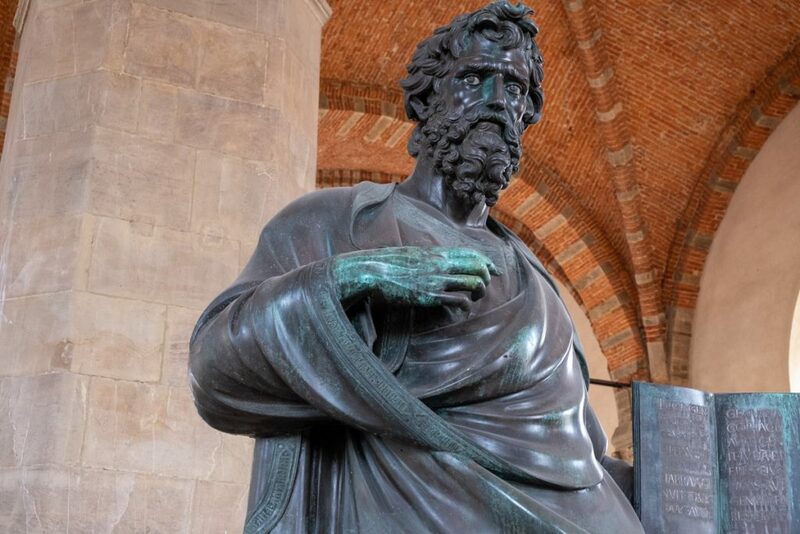 I only had two full days in Florence which means I’d be at full sprint trying to get everything in, which has pretty much been the case in most places I’ve visited. Fortunately the city is small, and most sights are within a 15 – 20 minute walk. The only problem is the crowds and waiting in line. The guidebooks all recommended I pick up a Firenze Card. It is a pass that gets you into all the major sights. It’s expensive, but is supposed to be worth it as it lets you skip the long lines. So I bought one, which cost almost $100. On day one, I headed out about 10 am after having breakfast at the hotel. I pass by the Duomo, which had a line that circled half the building. 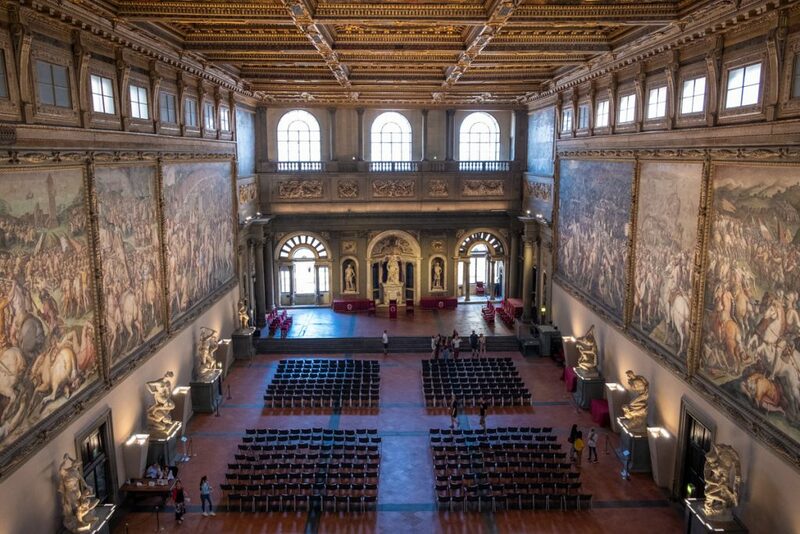 It’s free to get in and not covered by the Firenze Card. 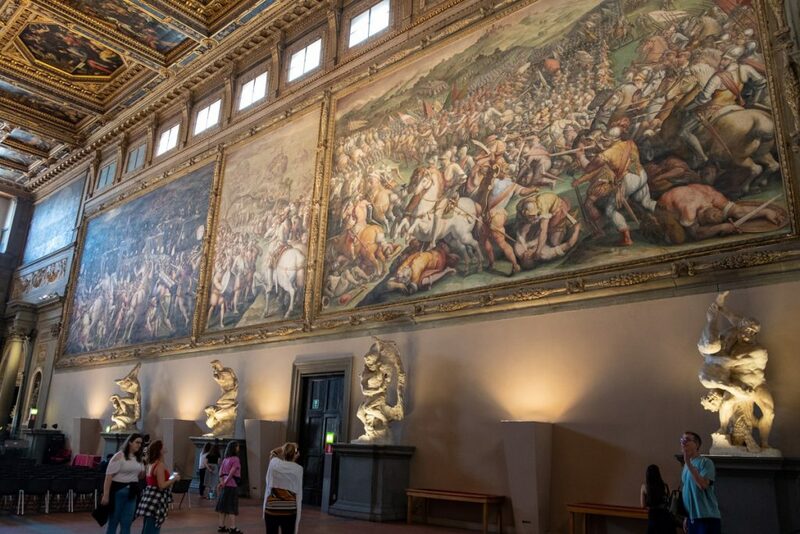 Guide books said it’s not really worth the wait so I took them at their word and headed to the Uffizi Gallery. The lines were pretty terrible there and I looked for the express line that my card got me access to. Not as bad as the general line, but still very long. I was pissed. They made it sound like I could skip the lines, but it didn’t mention anything about having another long line for the pass holders. That put me in a sour mood. Instead of standing in line for an hour in the hot midday sun, I decided to take the city walk outlined in the guidebook and got to know the town. 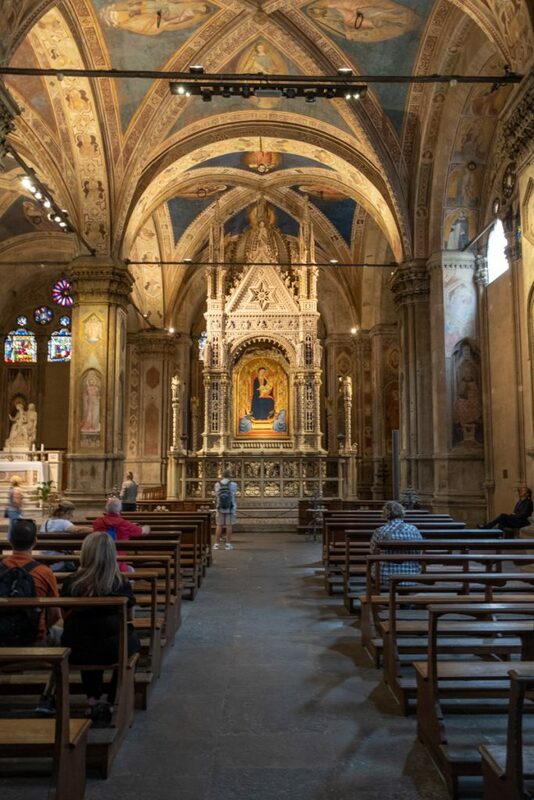 The Orsanmichele is an old granary which is now a church and museum. 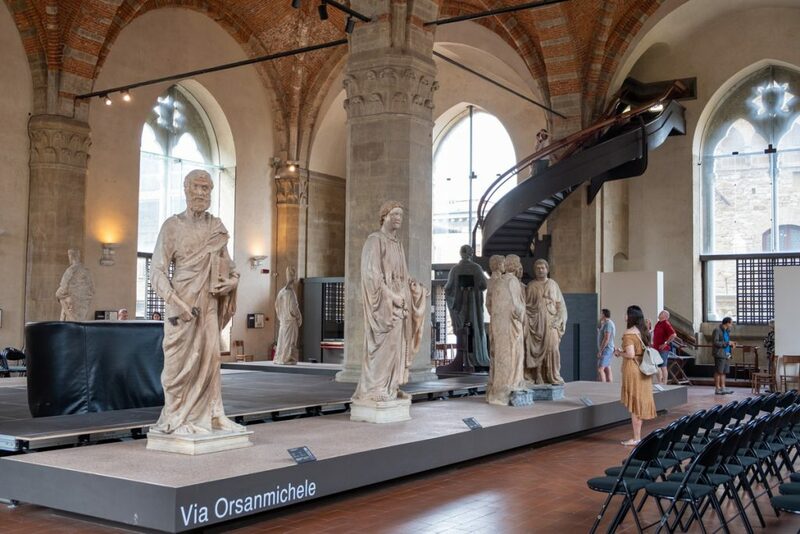 The ground floor is a church, the first floor houses sculptures from the fifteenth and sixteenth centuries, which used to adorn the outside of the building (now replaced with replicas). And the top floor has some nice views over the city. 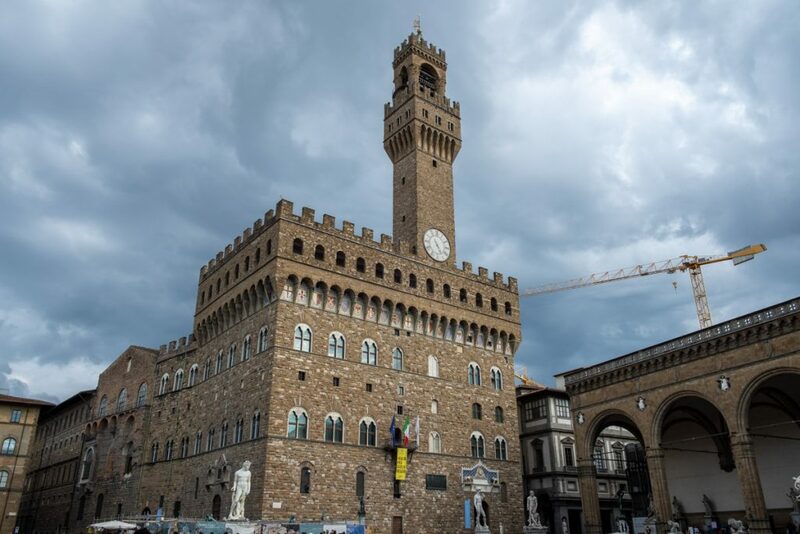 Next stop was the Palazzo Vecchio, or “The Old Palace.” It was originally built in 1299 with additions made throughout the centuries. 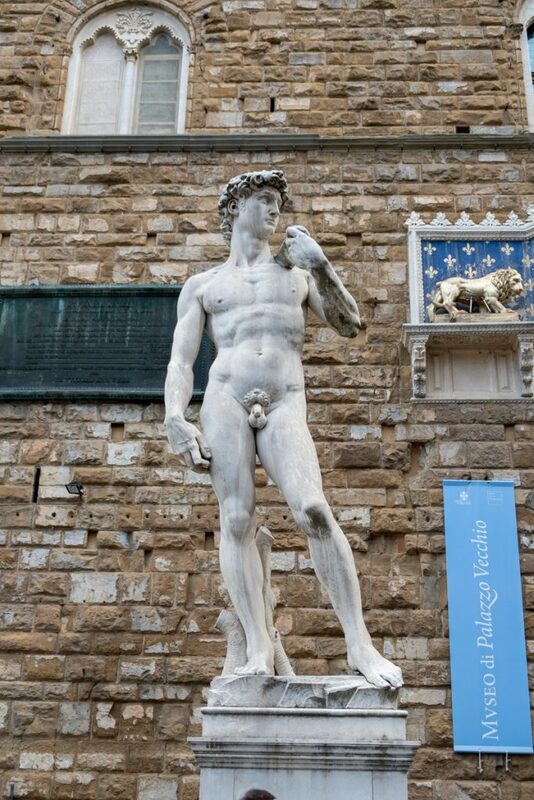 In front of the palace stands a copy of Michelangelo’s David. 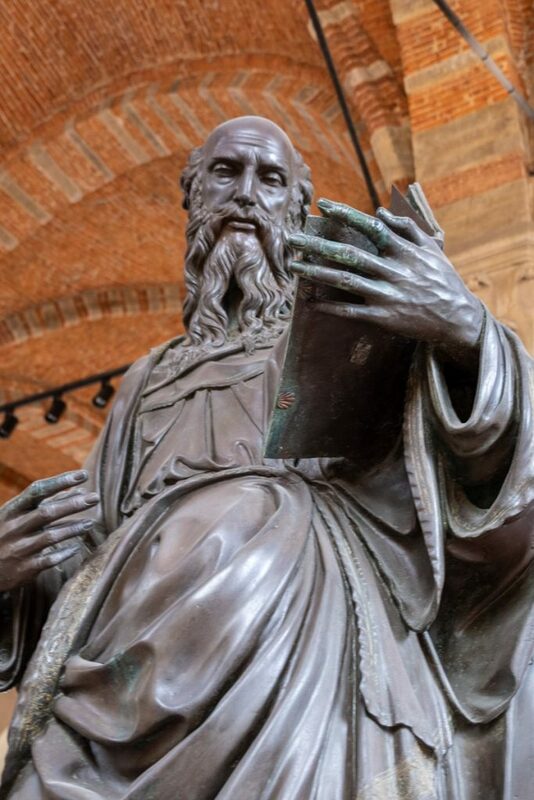 The original stood there until the 1850’s when it was moved to it’s current home at the Accademia Gallery. No lines here so I went straight in for the tour. 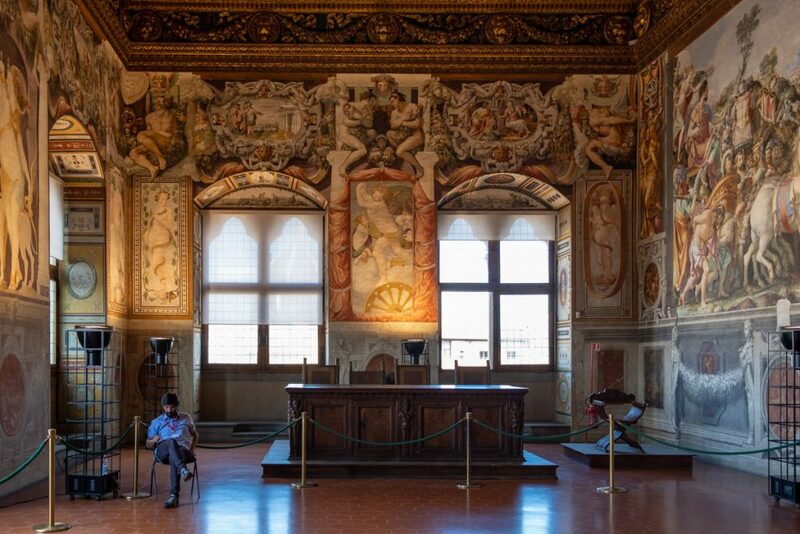 The self guided tour continues upstairs where you get to see the royal apartments. 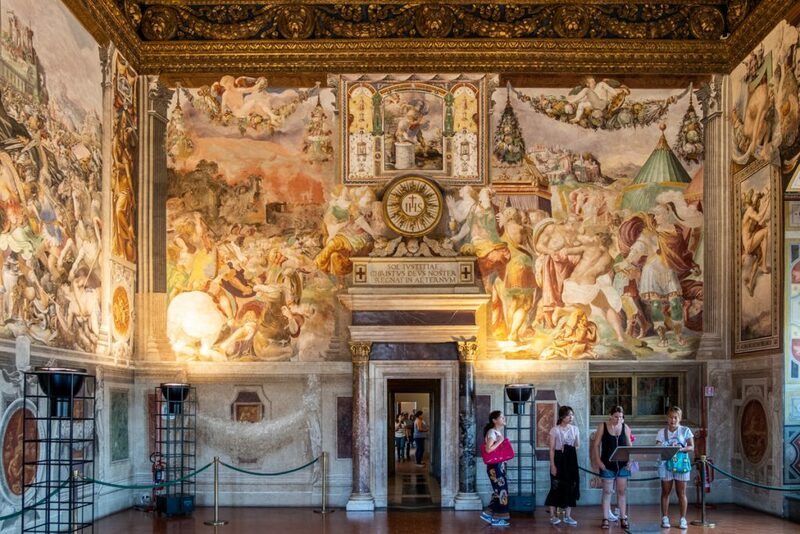 I was happy to see the Medici’s employed a different interior decorator than there neighbors to the north. 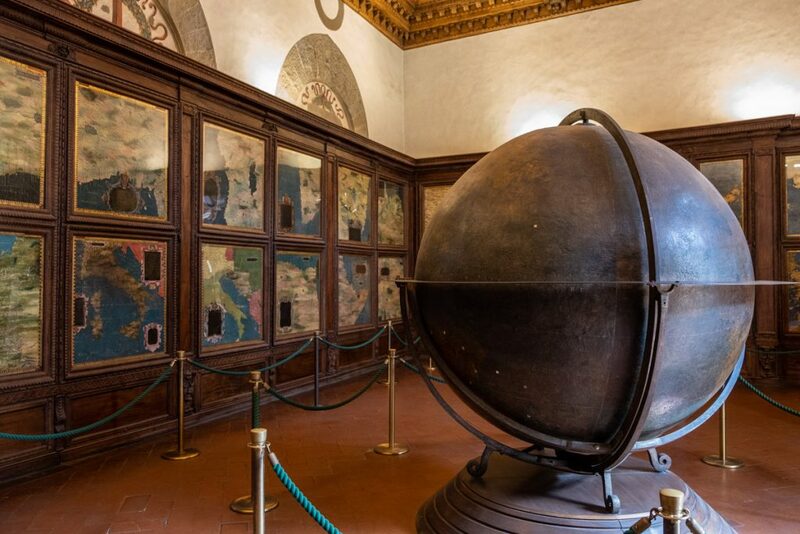 The map room was fascinating with it’s collection of 16th century maps showing the known world at the time. The large globe in the center of the room was taller than me. 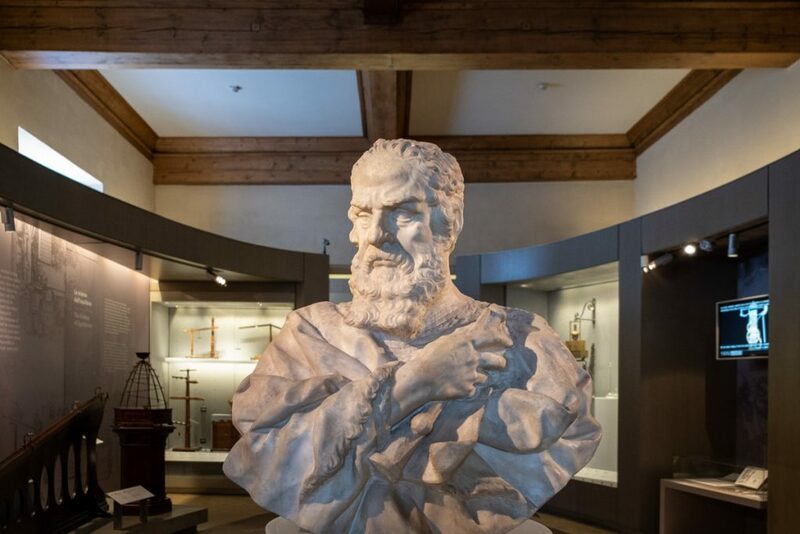 My last tour for the day was the Galileo Museum. This was a truly unexpected pleasure. 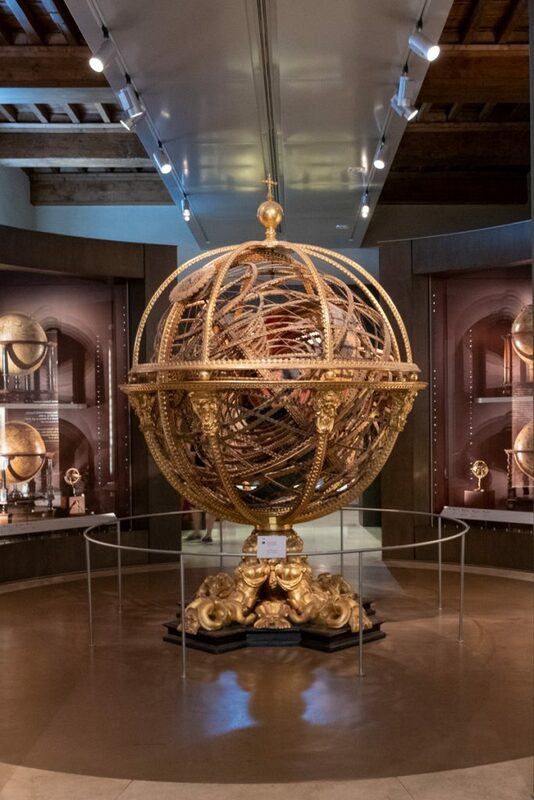 It houses a collection of historic scientific instruments and all of Galileo’s collection. 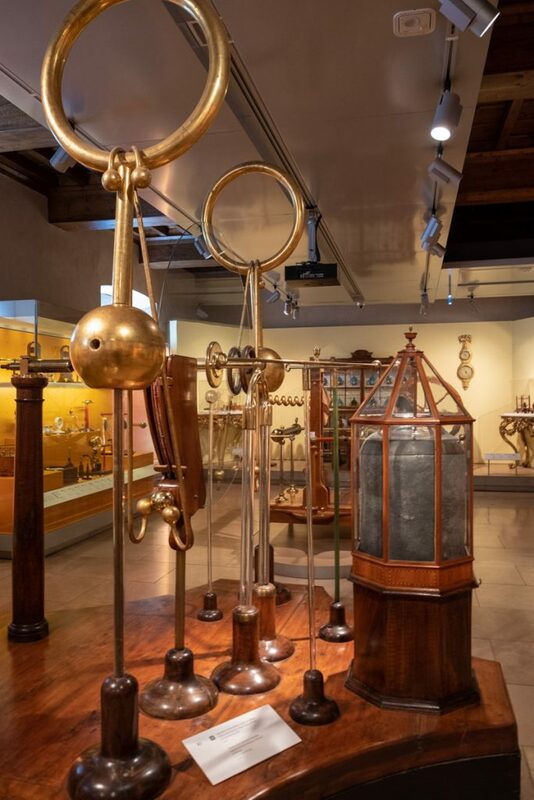 They have on display two of his telescopes which he used to discover the moons of Jupiter in 1610. 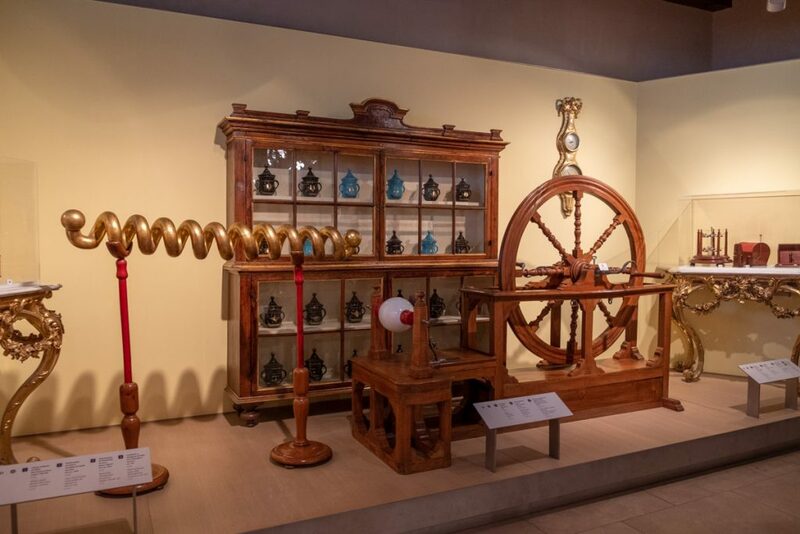 The museum has instruments from chemistry to astronomy to physics and much more. The experiments and discoveries they were making back then is really astounding. 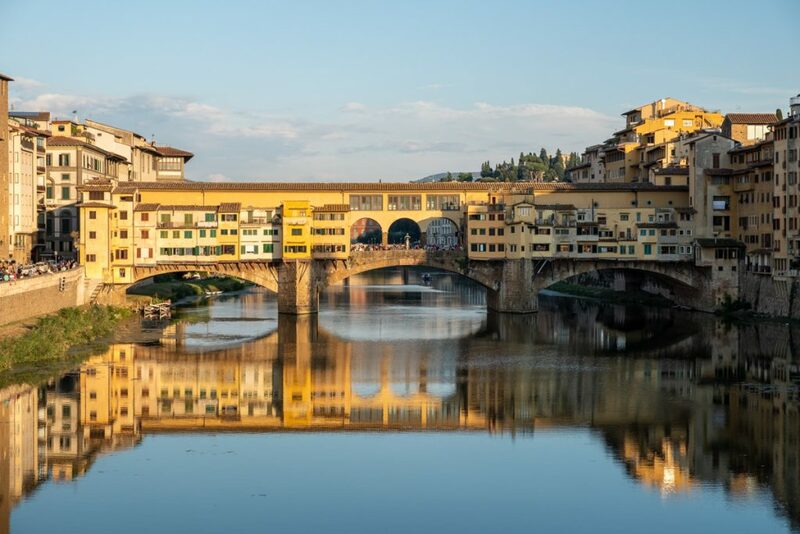 I was down at the river so I decided to have a look at the famous Ponte Vecchio. This medieval bridge is best know for the shops built along it, still in use today – mainly by overpriced souvenir shops and jewelry stores. It’s a popular spot for photos in Florence. I walked back to the hotel to get cleaned up and get some grub. The hotel recommended a couple of restaurants to me that served “authentic Tuscan food.” The one I tried was known for it’s Florentine Steak, which looked delicious when I saw it on the tables next to me. I wanted one for myself, but they were huge. I asked the waitress if they had smaller portions, but found out that Florentine Steak can’t be smaller than 1.3 kg – that’s 45 ounces! No wonder everyone was sharing them at their table. Although I really want to try the local specialties in each location, this was just too large and too expensive for just me. I passed and went for some pasta dish they recommended, which was just ok. 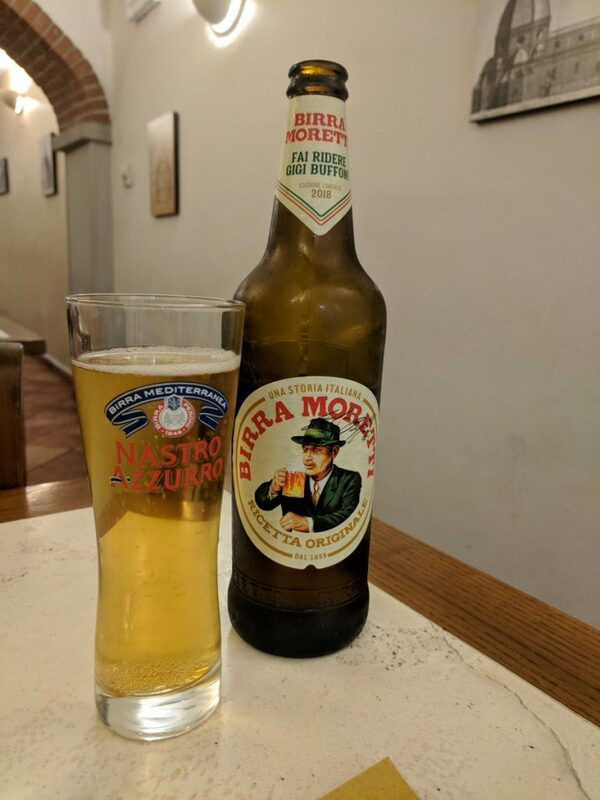 The beer for the evening was Birra Moretti and was very good. 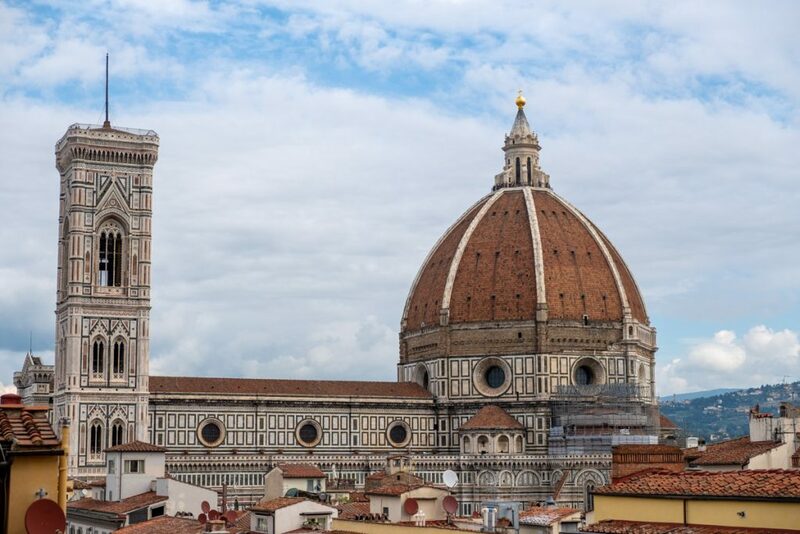 The plan for the next day is to see the Uffizi Gallery, the Accademia Gallery, and the Duomo Museum. Outstanding stuff Peter. I am really enjoying this trip with you. Keep up the great posts. Thanks Scott! I’m happy you are following along with me. I need to get these updates coming faster, the Europe part of the trip is over half way done. Hope all is well back in AZ.